Thomas would do anything to make his mother come back. On his fifth birthday, Thomas’s mother left, and he hasn’t seen her since. The last thing he remembers is her making a delicious dish of poutine for his birthday. Into the concoction of French fries, gravy and melted cheese curds, she stuck five green candles for him to blow out. On the day of this twelfth birthday, Thomas comes up with the idea of setting a Guinness world record for the Biggest poutine in the world. Maybe then, his mother will come back and his emotionally distant father will pay attention to him. As he puts together all the pieces of his Phenomenal Poutine Project,” Thomas not only learns why his mother disappeared, but he also comes to realize that Elie, the one person whose help he rejected, turns out to be his most devoted friend. 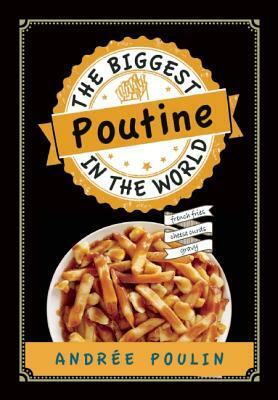 Funny and heartbreaking at the same time, The Biggest Poutine in the World, was the winner of the French language 2014 TD Canadian Children’s Literature Award.